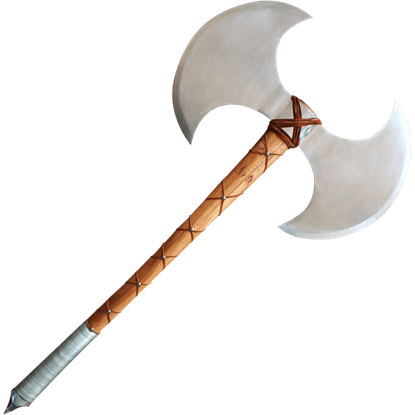 Certain historical axes used by the Vikings were also called Danish axes, an early type of polearm. 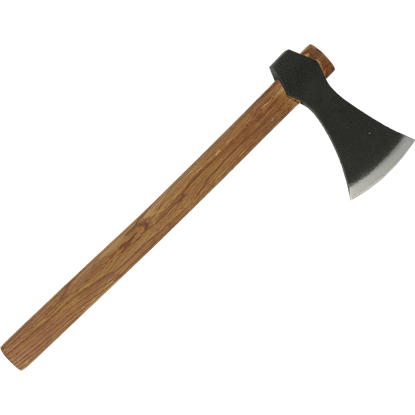 Viking axes are typically made light enough to withstand throwing, crafted with forged heads and hardened edges. 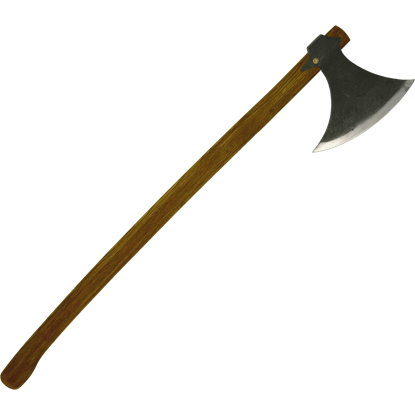 Other Viking axes were designed for punching through enemy armour or cleaving helms in close combat due to their relatively short cutting edges. 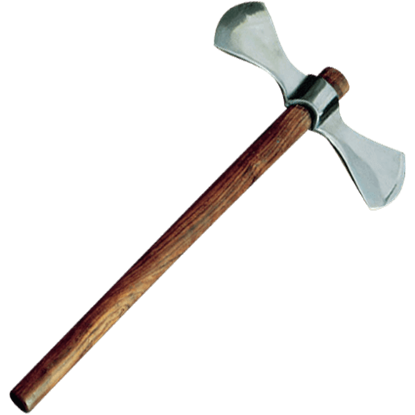 The Viking axe was not only used for warfare, serving as a tool on farms and for cutting timber for their Viking ships. 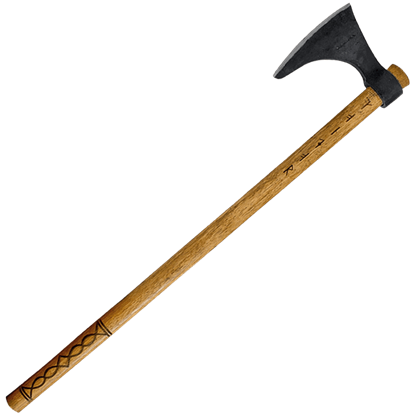 We carry many types of Norse axes, including Danish axes, Viking throwing axes, Mammen axes, bearded axes, and Francisca axes. We also offer Viking replica weapons inspired by the hit show following the life of the legendary Viking, Ragnar Lothbrok. Many of our Viking axes feature authentic designs and are fully functional for reenactments. This fantasy axe is attributed to the Valkyries, legendary mystical warriors of Norse sagas who transported the souls of dead Vikings to Valhalla, home of the gods. The double head is inscribed with Viking runes and symbols. Our Viking Axe and Bearded Axe are typical patterns, capable of cleaving helms or armour with impunity. They feature forged heads with sharp tempered edges and hardwood shafts. Both shafts are approximately 30 inches long. The Bearded Axe Head is ideal for creating your own Viking warrior weapon. Add your own wooden haft through the socket of this bearded axe blade. 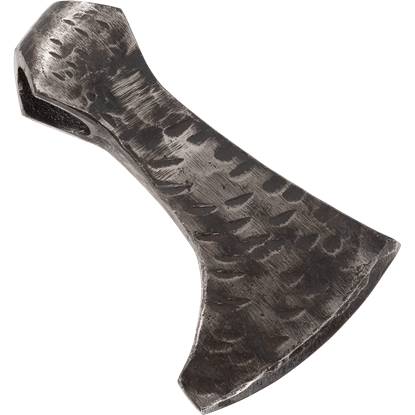 This historical axe head is handcrafted from steel and has been tempered for toughness. You know that there is a seat for you in the glorious halls of Valhalla, but that does not mean you are in a hurry to get there. 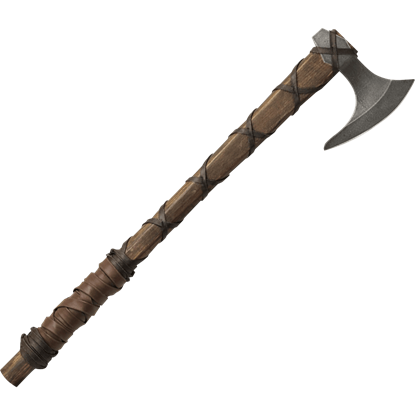 The Condor Valhalla Battle Axe is a trusty weapon that will ensure your survival no matter the battle. The Vikings believed that if they showed courage in battle, they would be rewarded with an afterlife in Valhalla. 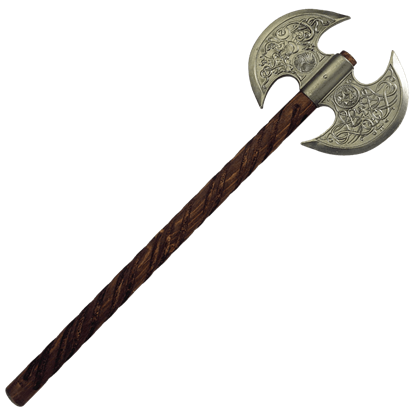 You can emulate Viking ferocity and fight like your afterlife depends on it with the Condor Valhalla Throwing Axe. 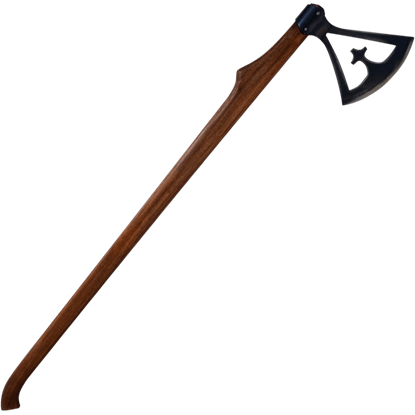 The Double Headed Ceremonial Axe by Marto is proof-positive that just because an axe is regarded as a simple, easy-to-make weapon, not all of them are brutish, plain, or unrefined. This one is none of those. It has been said that two heads are better than one. 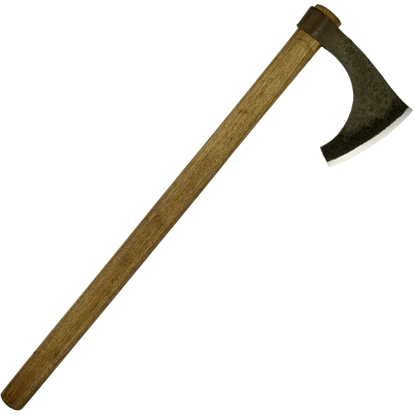 Typically, this references two thinking heads, although there is no reason that this ages-old mantra cannot be applied to weapons like this Double Headed Viking Axe. 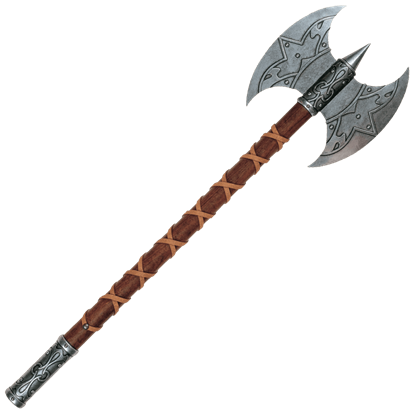 With a design inspired by the weaponry of fantasy barbarians, the Double-Bladed Barbarian Battle Axe is a weapon meant for only the most ferocious and stout warriors to wield, measuring a towering 48 inches in length.